We measure success by the looks on your guest's faces when they walk in the door and the stories you tell each other on your way home. 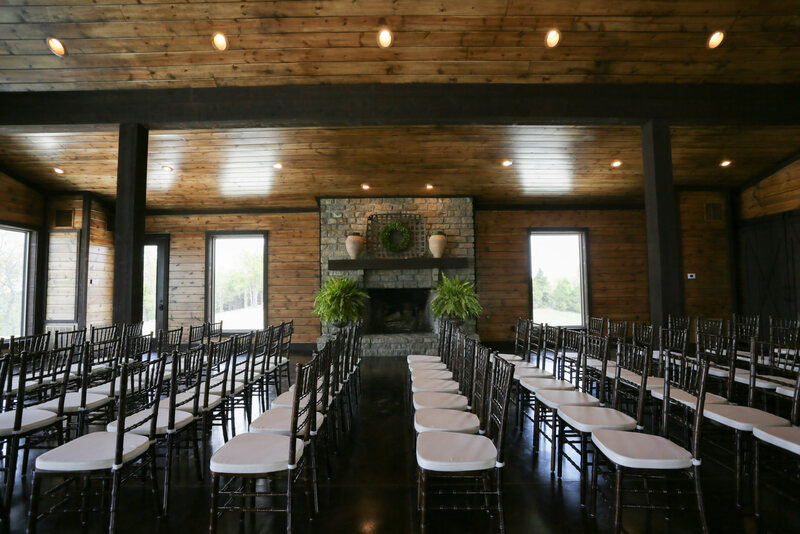 We take pride on allowing you to focus on making memories, not whether or not there are enough chairs or the temperature of the room. 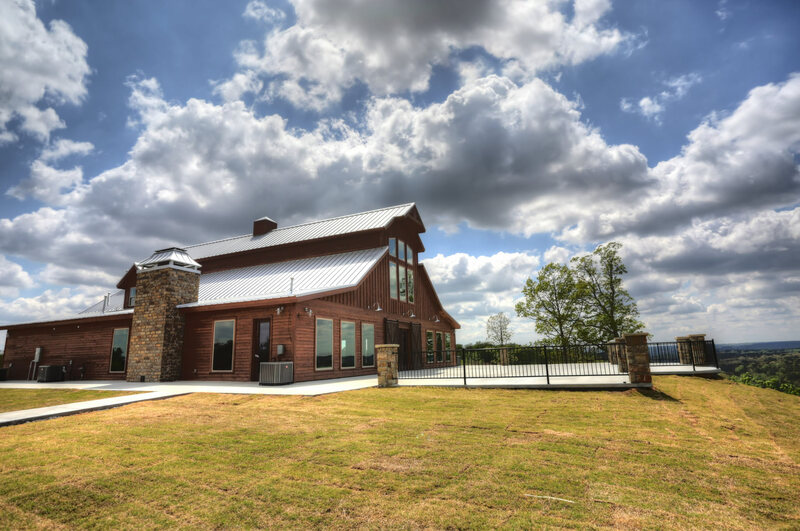 Come see why Hillbrook Farms Event Center is the right place for your next event and take in one of the most incredible views in central Arkansas. We have pulled out all of the stops to ensure your preparation time is memorable. With a full-sized tub to over 12 feet of mirror, all you need is yourself and your entourage. Located just above the Great Room, there is plenty of natural light and a way to overlook and monitor the activities down below. Why not come see it for yourself? 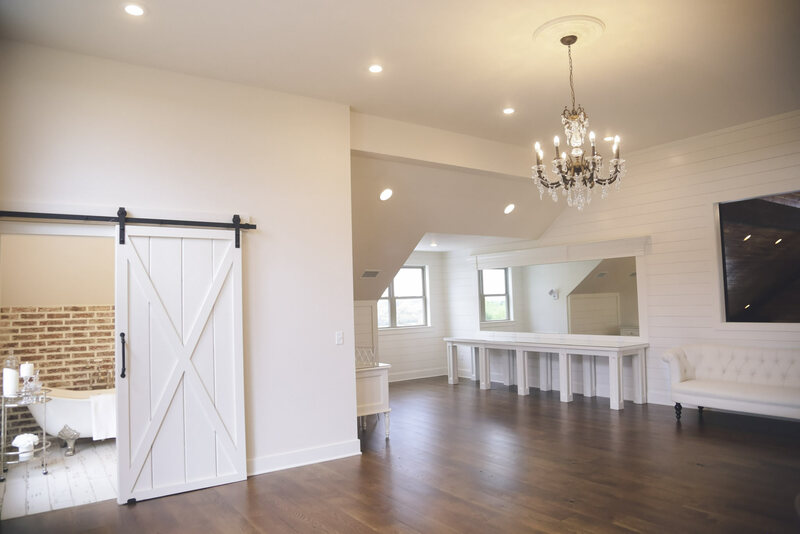 Your guys have a space to call their own as they get ready for the big occasion in the Groom's Room. Fully appointed with everything needed to slay the butterflies - either alone or with a wingman or two. Located downstairs just off the main room and close to the action. The perfect hideout until the moment is right. This is where all of preparation comes together. The very spacious room can be configured to suit your occasion's needs. 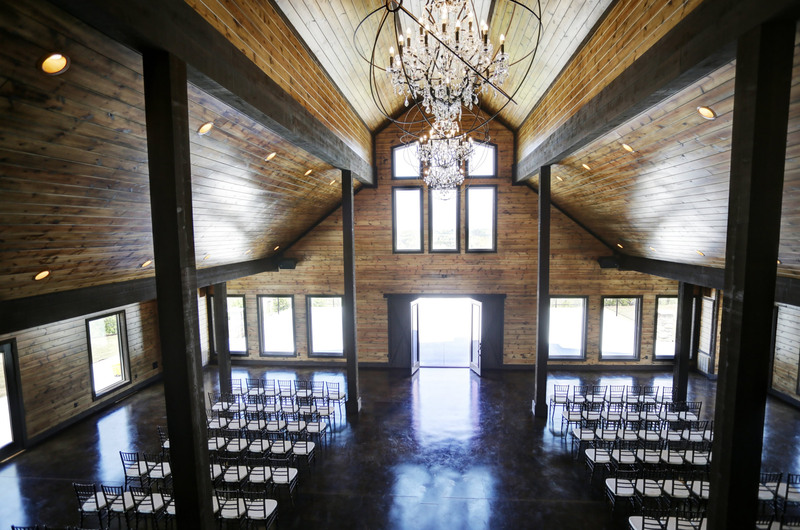 With stained concrete floors and an open ceiling featuring an amazing chandelier, your party will be very comfortable and able to focus on what's important. 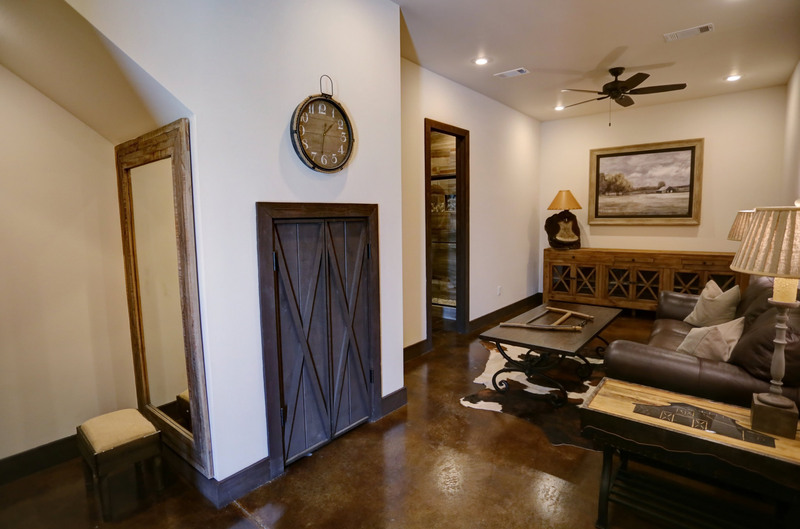 This room needs to be experienced in person, so come see it for yourself. Our goal is to be as flexible as possible, so if you have a planner already, we need to talk and ensure they know what we have to offer them. 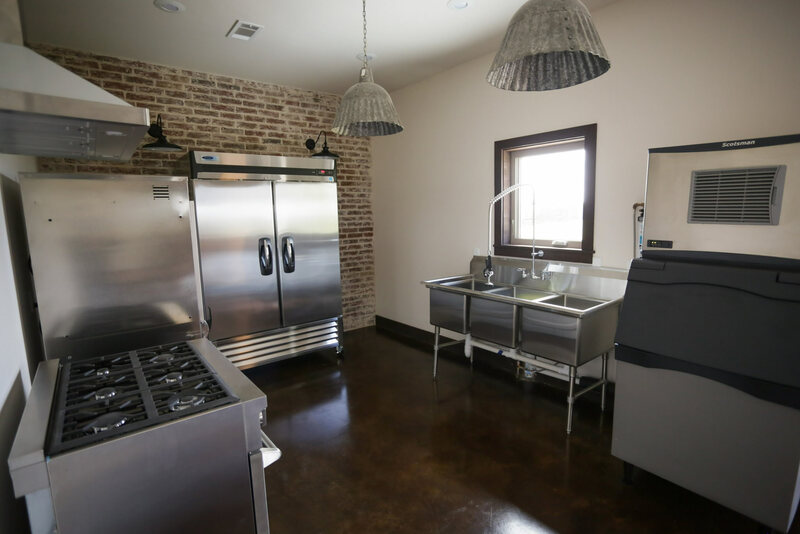 For example, our industrial kitchen can keep catered food both cold and warm. Located just off the Great Room, getting people served is very quick and easy. For questions and pricing on all other events*, please CONTACT US. Family reunions, birthday parties, corporate meetings, school functions, etc. *Based on type of event being hosted, prices will vary. The property and facilities are, without question, better seen in person. Let us know on the tour scheduling form when you'd like to come visit and we'll give you the nickel tour. If you have liked what you've seen and are ready to start the registration process, use the form to give us the details and we'll get the ball rolling. For anything else, use the contact form and we'll do our best to get back to you quickly.